Before you can bring your idea for custom products to market, you will need to create a 3D model to work from. Not only a crucial part of product development, but also vital for the production process. For businesses and makers, creating a 3D model poses a considerable challenge. Whether it is an unfamiliarity with 3D modelling technology or the associated price tag, picking the right tool is daunting. Fortunately, with the rise in popularity of additive manufacturing methods, there has been a massive proliferation of modelling programs that not only offer amazing functionality, many happen to be free. We want to help you save some time and get the right tool for your custom product idea, so we did the legwork looking for tools that are trusted by many, offer unique functions, and rely on different approaches. Here is our list of the top 5 totally free CAD modelling software tools. Created by Google, SketchUp is a free CAD tool that makes modelling very simple. For 3D modelling newbies, SketchUp is a great way to learn from scratch. And, if you get stuck there are lots of great tutorials that will help you hone your skills. Although you can use SketchUp for any kind of product, it is particularly well-suited for architectural projects. While it has solid functionality, SketchUp files are not always as precise as they need to be for printing. We see many files that require repair. Not to worry though, you can always use our free 3D model repair service to double check your 3D model and make any fixes. If you decide that SketchUp is for you and need more functionality, pro licenses are available for a fee. A great tool for creating solid 3D CAD models, OpenSCAD focuses more on these CAD elements of modelling rather than the more artistic ones. So, if you are in the business of creating mechanical components then this is the program for you. But, if your needs demand higher visual quality, you may want to look for another CAD program. OpenSCAD offers its users considerable control over the modelling process. Because it reads a script file that describes the object and renders a 3D model, you can simply change any modelling step. Importantly, OpenSCAD enables you to create designs that are defined by configurable parameters, a must when you want to offer custom products. OpenSCAD is available for Linux/UNIX, Windows, and Mac OS X. Another versatile and powerful tool is FreeCAD. Perhaps one of its most important selling features is the large community that has grown up around the software. Especially for those new to 3D modelling the community is an invaluable resource, teeming with experts and modelling veterans, who are happy to offer support. FreeCAD is a parametric modeler, which means that all models can be based on parameters that the user defines. This allows more flexibility and is particularly important if you want to offer custom products. FreeCAD’s adaptable interface improves the usability of the tool, allowing you to tailor it to your particular design needs. A multiplatform program, FreeCAD works on Windows, Mac, or Linux and can read many open file formats such as: STEP, IGES, STL, SVG, DXF, OBJ, IFC, DAE, and others. Blender has been on the scene since 1994. This free and open source software offers a lot of great functionalities and covers the entire gambit of 3D creation: modeling, rigging, animation, simulation, rendering, compositing and motion, tracking, even video editing and game creation. A little more on the specialized side than the other tools listed here, Blender might not be ideal for those who are just starting out or need something simple. That said Blender allows you to create stunning renderings, detailed technical drawings and event realistic animations of fire or moving grass. Another selling point of this software is its fluid workflows. With a single click, you can switch between drawing tools, mesh, and sculpting, making 3D modelling far more efficient. Like other open source tools, Blender has a devoted and significant following. If you need support or inspiration you can always find it within the community. Last, but certainly not least, is Onshape. Aside from paid variants, Onshape also offers a free open source CAD platform with a lot of benefits. The free version gives access to full enterprise-grade functionalities, and unlimited storage for your public projects. And, if you are new to CAD modelling there are lots of online training videos and resources to get you quickly up to speed. An extremely open platform, Onshape is ideal for working in teams. You can connect with members of its extensive community and collaborate easily on projects. A well-established CAD platform, you can create complex parts, assemblies, and production-level drawings with Onshape. It works on any computer as well as iOS and Android tablets. 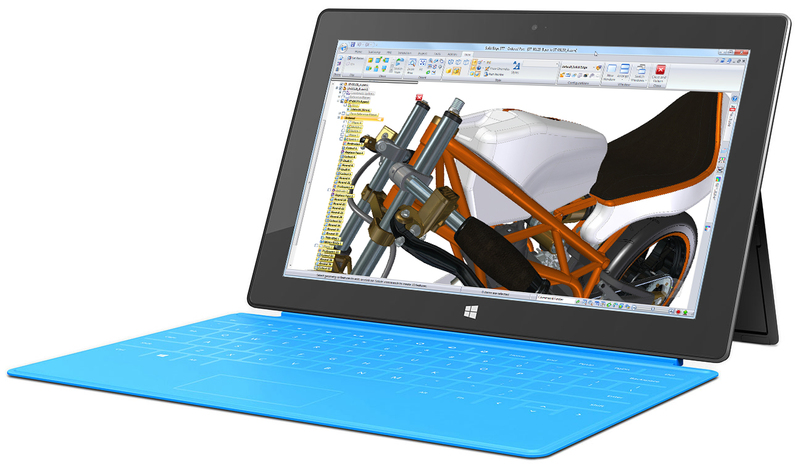 Completely cloud-based, Onshape is perfect for people who work on the go. Finding the perfect 3D modelling software for your business or idea is an important step towards creating amazing custom products. With a CAD program, you will be able to create the base models that serve as the basis for future customization. The next step to offering your custom products to customers is automating the customization process and bringing it online. Once online you can involve your customers directly in the design process and create a unique e-Commerce experience. Our paramate platform enables you to do just this. Using the logics and parameters established in your base 3D model, paramate makes endless configuration intuitive, instant, and efficient for you and your customers. Additive manufacturing technology is getting better all the time, and as it improves so too will the opportunities for customization. Get the best software tools to enable you to harness the potential of additive manufacturing in the age of mass customization.